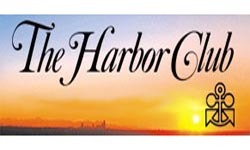 Discount Parking is available near The Harbor Club. Each parking location listed above offers a special web coupon with guaranteed discounted parking rates. Select a location address to see parking details and print the web coupon. A web coupon must be presented for these special rates, so please present one when you park. The Harbor Club is conveniently located in downtown Seattle, close to business, historic Pioneer Square, the Seattle Waterfront and Ferries, Safeco Field and Seahawks Stadium. It is a perfect location for breakfast, lunch or dinner during and after a day of business or fun in Seattle.